Because many of you asked me how a regular day in the training season looks for me, I decided, together with my strength and conditioning coach, Lucian Nicolescu, to write an article with all the details. Therefore, you can find below my schedule during the training season. This meal is a balanced one that contains carbohydrates, proteins and very little fat. The most common foods for breakfast are eggs, vegetables, gluten-free bread and oatmeal flakes. During breakfast he takes SiS Performance Multivitamin and SiS Super Strength Omega 3 1000mg, which we purchase from High Energy Romania. Conditioning training. We are pursuing the improvement of biomechanics - movement on court and the development of the cardio-respiratory apparatus through continuous or intermittent running. 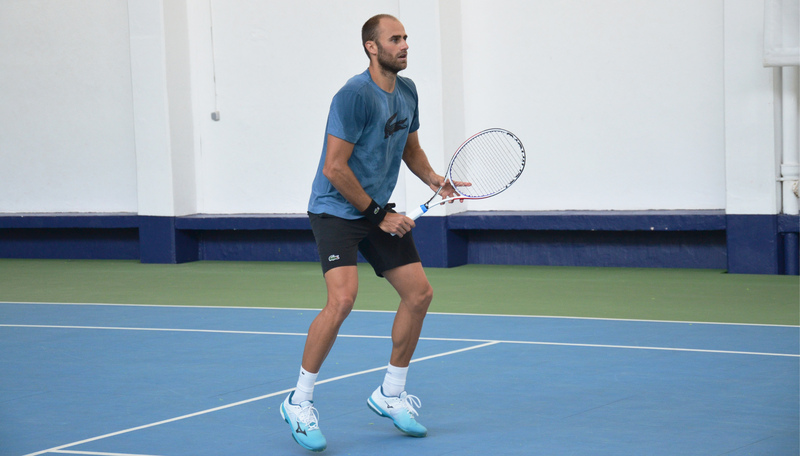 Tennis training where Marius Copil develops technical-tactical abilities. During these efforts, he takes SiS Go Electrolyte to sustain energy effort and Grenade Defend BCAA to avoid muscle catabolism. After the effort, is time for SiS Rego Rapid Recovery, which supports energy and muscle recovery. I recommend this products to all the tennis players as basic supplements. This contains animal proteins and many carbohydrates, avoiding or reducing fat consumption after effort. An example may be white rice with vegetables, fish and salad mixed with a little bit of oil. 16:00 – The second training session is meant to prepare the locomotor system. Here, we develop explosive abilities (such as Marius' impressive service, 240km/h), or we do an antagonistic training, by working out the muscles that Marius doesn’t use on court. This is necessary to avoid muscle imbalances. We end the physical activity with recovery such as mobility and massage. This meal is similar to lunch for macronutrients. Occasionally, when the distance between meals is too big, Marius has snacks such as fruit or rice rolls. After dinner, Marius Copil has recreational activities until 11PM when he gets ready for bed. We are aiming for 8.5 to 9 hours of sleep during the night to facilitate the body's recovery.